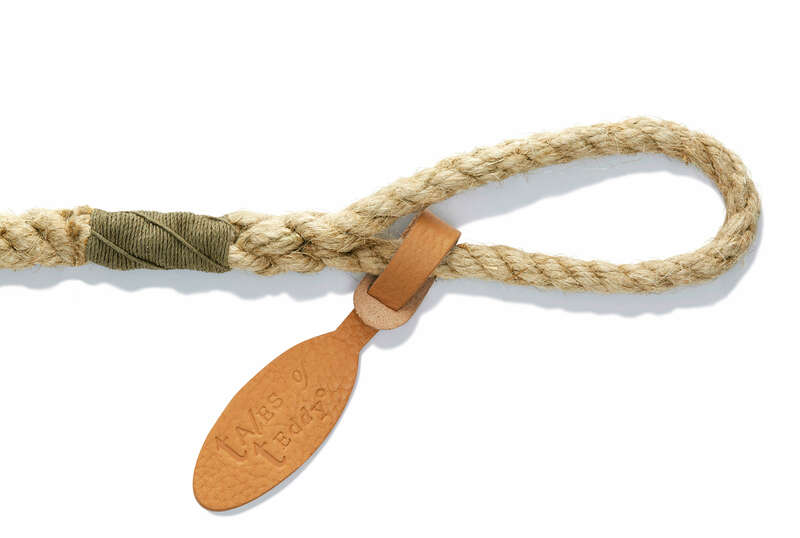 Our Better Rope Lead is made from natural, soft-to-the-touch hemp and fastens with a smart brass trigger hook. Made using traditional methods at Britain’s oldest rope maker, it comes in one neutral colourway, the details picked out in our ‘house’ khaki. 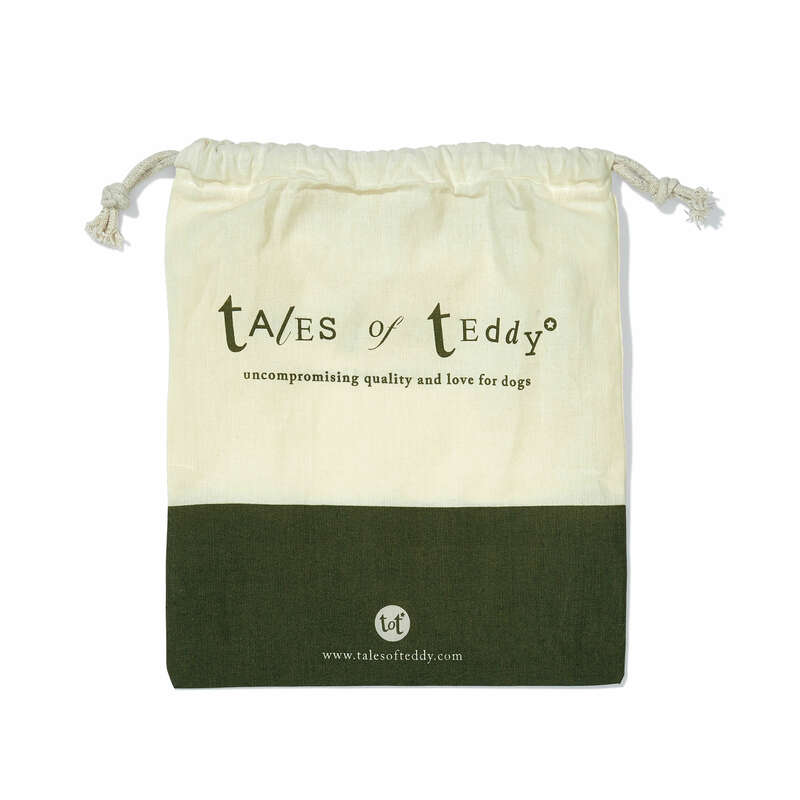 Every Better Rope Lead comes with a stamped leather Tales of Teddy tag and is presented in a tidy Tales of Teddy drawstring pouch – which also makes a handy place to stash poo-bags. 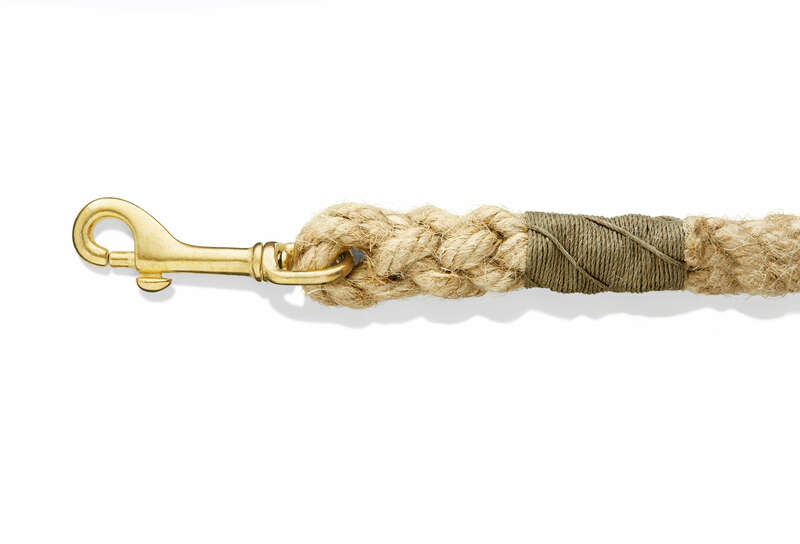 Craft: We use Chatham Hemp (also known as flax) rope from the Historic Dockyard Chatham, where they have been making fine rope with a worldwide reputation for more than 400 years. 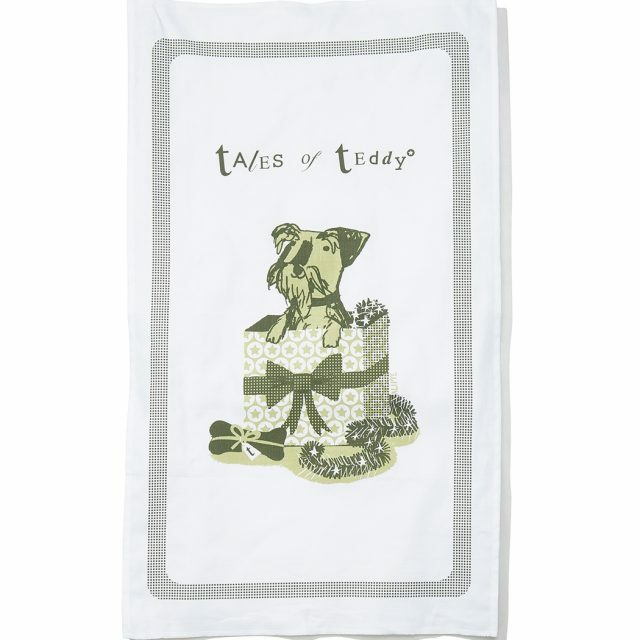 We don’t use synthetic fibres, just beautiful, natural hemp with its distinctive smell. The splicing (the twisting and weaving that joins rope together) and the whipping (the khaki-coloured binding of rope ends that prevents fraying) on each Better Rope Lead is hand finished by master rope makers. Hardware: A safe brass trigger hook completes the lead, supplied by one of the few remaining British brass foundries serving the equestrian industry. 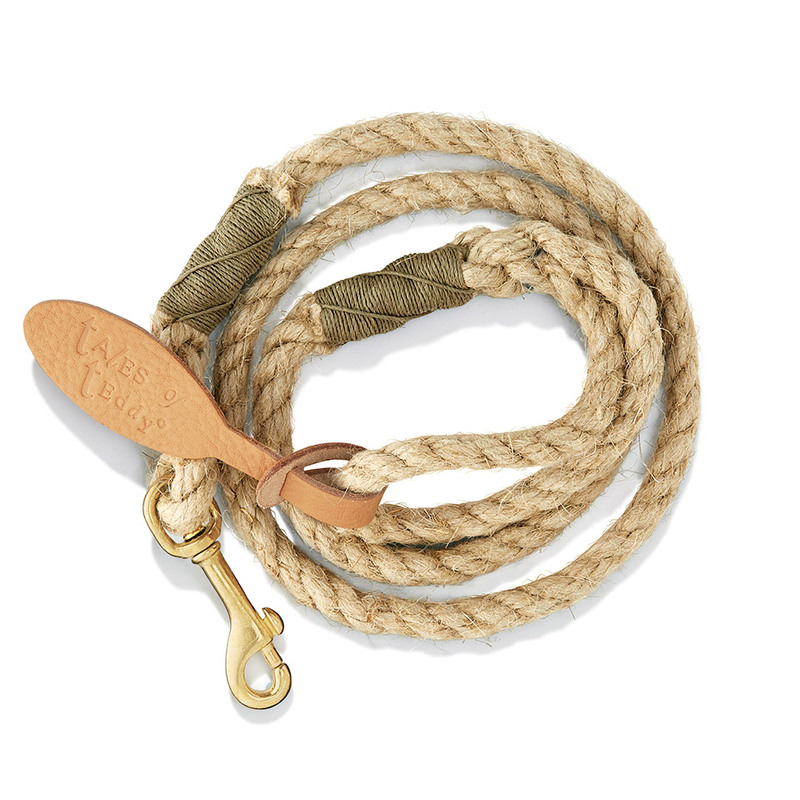 Dimensions: Our Better Rope Lead comes in one weight. 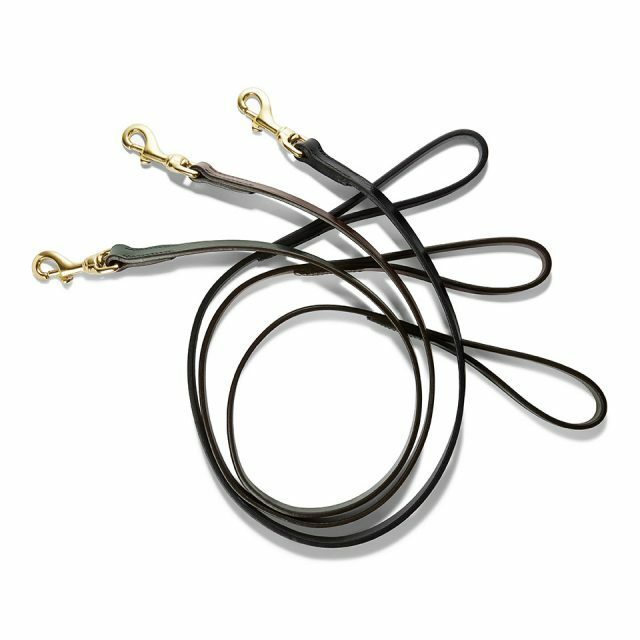 It is not as clunky as many rope leads on sale elsewhere because we not only want our leads to feel good in your hand, they must feel comfortable for your dog, too. The lead measures 110cm/43inches , a slightly longer length for a bit more doggy freedom. 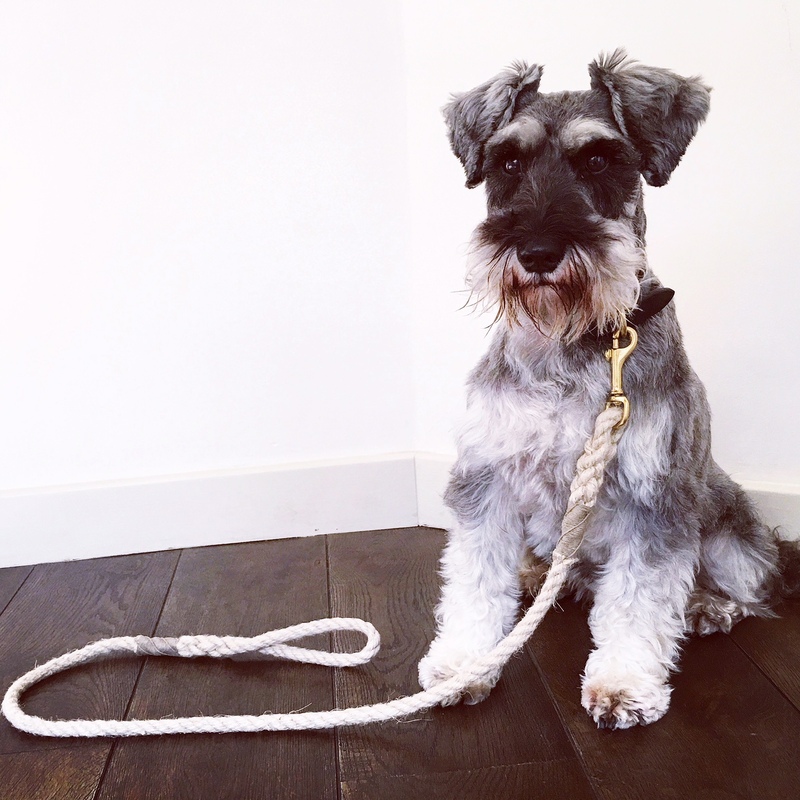 Our hand-stitched leather dog leads come in four colours, two widths and with smart solid brass hardware. 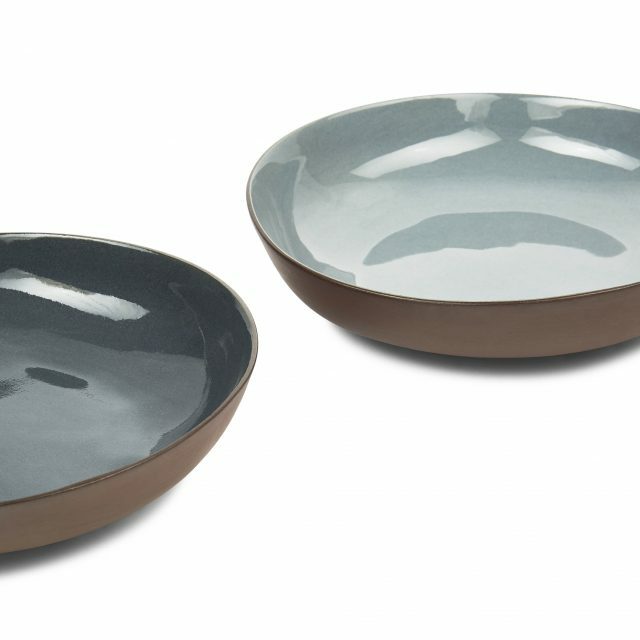 These are made to order and may take up to three weeks to deliver.